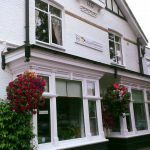 Located just 500 yards from Boscombe seafront and 200 yards from the shops, The Rosscourt, Adult only bed and breakfast, is ideally placed for rest and relaxation, or a great place to explore from. 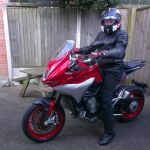 Peter is an MV Augusta rider and can help with planning routes and places to visit. All of The Rosscourt rooms are en suite, for your comfort. 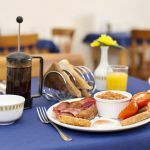 They have a flexible breakfast offer, get up and set up for the day with a full English or spend a few extra hours in bed, the choice is yours. Freeview TV to ensure you don’t miss your favourite programme and of course free parking for your motorbike on site so no need to worry. The Rosscourt is close to Christchurch, Poole and the centre of Bournemouth just 1.5 miles away. 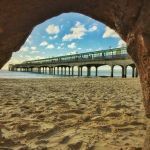 If you want to leave the bike and explore on foot, there are great places close by like Hengistbury Head, Sandbanks and Alum Chine. 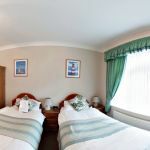 A previous guest said “Debbie and Peter were great hosts, nothing was too much trouble, we had a comfortable, spacious room, the breakfast was cooked to order and our bikes were well looked after. We would definitely recommend staying at The Rosscourt, plus it is an adults only establishment, peace and quiet!” Free Wi-Fi. Plenty of space to park bikes including secure parking. Bournemouth, Dorset, Dorchester, Dorset Jurassic Coast, romantic ruins of Corfe Castle, Abbotsbury, Lulworth Cove, Durdle Door, Big Bournemouth Beer Festival, Tank Museum, Monkey World, Blue Pool, Swanage Steam Railway, Marine Sea Life Centre, The Dorset and East Devon Coast, Iron-Age Hill Fort, Weymouth, Upwey, poole, the Riverside Restaurant, Bridport, easy distance of Lyme Regis, Axminister and Weymouth, bikers welcome, on the Island of Portland , The Jurassic Coast, Chesil Beach, scuba diving at a variety of dive sites, North Swanage with fantastic sea views and close to the sandy beach - a great base to explore the beautiful county of DorsBournemouth, Situated in the very desirable area of Branksome Chine and within walking distance of local beaches, including the prestigious Sandbanks, Canford Cliffs, Branksome Dene and Bournemouth Pier. Also fantastic local entertainment, pubs, bars, clubs, restaurants and shopping, plus many other places of interest including Poole for the weekly Bike night, The New Forest, Beaulieu Motor Museum, Swanage & The Purbecks close by. et. bikers welcome, located for visitors to Highcliffe's unspoiled and award winning beaches, historic Christchurch, bustling Bournemouth, lovely Lymington and the New Forest National Park, with it's quaint villages and many other attractions… Close to Hurst Castle with stunning sea views, past The Needles and onto the Purbeck Hills. There are many attractions and places to visit nearby, such as the Beaulieu Motor Museum, the Bournemouth Aviation Museum, Lulworth Castle and Christchurch Priory.beautiful Isle of Portland, with stunning sea views Fantastic places to visit in the area include The Jurassic Coast, Chesil Beach or simply go for a ride and explore this picturesque area.Bridport town centre, A short stroll to the many seafront kiosks, serving traditional fish and chips or go posh at the Riverside Restaurant, which has been voted by The Observer as one of its top ten seafood restaurants. Also pubs, cafes and restaurants on the same street and around the harbour area. Within easy distance of Lyme Regis, Dorchester and Chessil Beach in Weymouth.of Dorchester, historical town, with a wealth of attractions, excellent shopping, delicious eateries amongst the historic buildings, museums and Max Gate, once the home of Dorset's most famous author and poet Thomas Hardy. The area is also known as Thomas Hardy Country and is a favourite with film and tv producers... Broadchurch was filmed around West Bay and the latest film version of Far from the Madding Crowd is filmed around West Dorset! Places to visit include Maiden Castle, Poundbury Hill fort, Bovington Tank Museum, Maumbury Rings, the chalk White Horse near Osmington, Monkey World, along with many coves and beaches on the Jurassic Coast, with caves, exciting rock f Lyme Regis and blessed with breath-taking coastlines and countryside. Lyme Regis is affectionately known as the ‘Pearl of Dorset’... Whether it is exploring the enchanting network of back streets that twist and thread through the town, or simply strolling along the famous Cobb harbour wall (immortalised in the classic novel, The French Lieutenant's Woman) it will leave unforgettable memories. ormations and fantastic scenery.